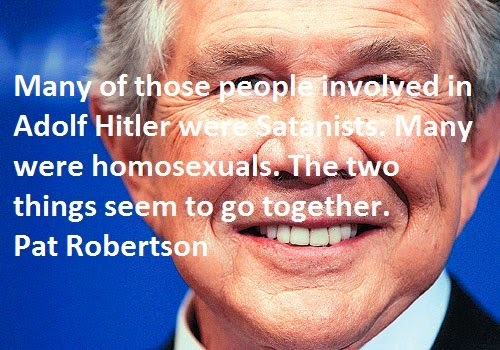 Marion Gordon Robertson, popularly known as Pat Robertson is an American media mogul, known for his typical conservative Christian views. Here I have compiled down some of his popular or rather say hilarious quotes, hope you will enjoy them. People who hate God... take it out on innocent people. We will see the presence of angels and we will see an intensification of miracles around the world. I believe in working with the hearts of people, and not locking them up. In Europe, the big word is tolerance. You tolerate everything. I mean the terrorists are - are like a pimple, like a boil. They'll go away. I hate Alzheimer's. It is one of the most awful things because, here is a loved one, this is the woman or man that you have loved for 20, 30, 40 years, and suddenly, that person is gone. They're gone. They are gone.